Home » Real Estate » Real Estate Regulatory Bill New amendments – Good Days for real estate? Real Estate sector is drowning continuously since past few years. Investors are not keen on making fresh investment in real estate sector. In order to boost new investment in real estate sector and to protect the home buyer, few amendments are made in the real estate regulatory bill. These amendments are recently approved by the cabinet. So, let’s explore the detail about Real Estate Regulatory Bill New amendments. Any real estate project with at least 500 sq meter area or with 8 flats will have to be registered with regulatory authority. Earlier this limit was for 1000 sq meter area projects and 12 flats. This will bring most of the project under the real estate regulatory bill. Builder or developer have to deposit 70% of project cost including land cost in a separate account. It is required to meet the cost of construction. Any delay or default shall not be tolerated. Builder or developer need to pay interest in case of delay in the project. Builder will be held liable for any types of structural defects for 5 years. Earlier this limit was for 2 years. Carpet area including usable space like kitchen and toilets need to define clearly in builder proposal. The garage is now not part of apartment and builder need to separately define space for a garage. 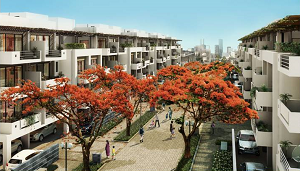 Making resident association is mandatory within three months of allotment of a majority of flats/units in the project. In case of conflict, the aggrieved buyer can approach consumer court, instead of only regulatory authorities. On an issue of occupancy certificate, house holder should take possession of house within two months. This is to avoid unnecessary delay in property registration. This bill is applicable for both commercial and residential real estate projects. Establishment of a fast track dispute resolution mechanism for real estate sector. For more information go through detail given on pmindia.gov.in website. How this real estate regulatory bill help Investors? This bill will bring more transparency and accountability in real estate sector. This will help to reduce a cost of capital, it will be good for developer and investor both. As per current detail, only single authority will give clearance for entire real estate project. This will help in speeding up construction work. The revised bill enables provision for arranging assurance of land title. This will help buyer and seller in case title of land is held invalid. Digitalization of land record shall be done and real estate authority can grade projects and developer. Fast track court will be set up which will resolve the dispute in maximum 60 days. As per me, it is a welcome step taken by the government of India. The recent amendments in the Real estate regulatory bill will defiantly help investors and developers in days to come. It may also bring good days for sinking real estate sector.